Thinking of refreshing your décor this spring without the fuss of picking a new scheme and furnishings? World-famous scent emporium Jo Malone has the perfect solution. 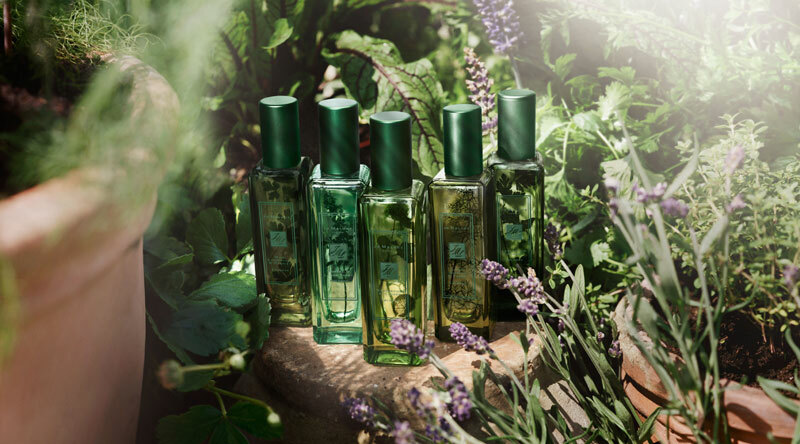 Its limited edition The Herb Garden range of home fragrances will bring the most beautiful combinations to your home. Crisp, clean aromas of fresh herbs entwine with delicate floral notes to feel as though you have just opened a window into a country kitchen garden where herbs flourish among the wild flowers. Lavender & coriander is great for the bathroom with its fresh yet woody allure. Sorrel & lemon thyme works perfectly in the kitchen where the clean, zesty lemon thyme is tempered with earthy notes of sorrel, geranium leaves and moss. Wild strawberry & parsley brings an irresistible peppery sweetness to the living area that is both stimulating and relaxing. The velvet-like comfort and warmth of spicy nasturtium & clover is the perfect master bedroom fragrance, especially with soothing undercurrents of jasmine. Carrot blossom & fennel piques the curiosity while its rose and orange blossom add warm, slightly citrus notes that are good for inspiration making this the ideal home study companion. If you would like the team to help create a fragrance plan for your home this spring ,with different scents in each room that complement each other as you move through the house then get in touch today.